On 11/10/2018, Logan Ganzen and Yuk Fai Leung attended the 2018 Sensorium at Purdue University. 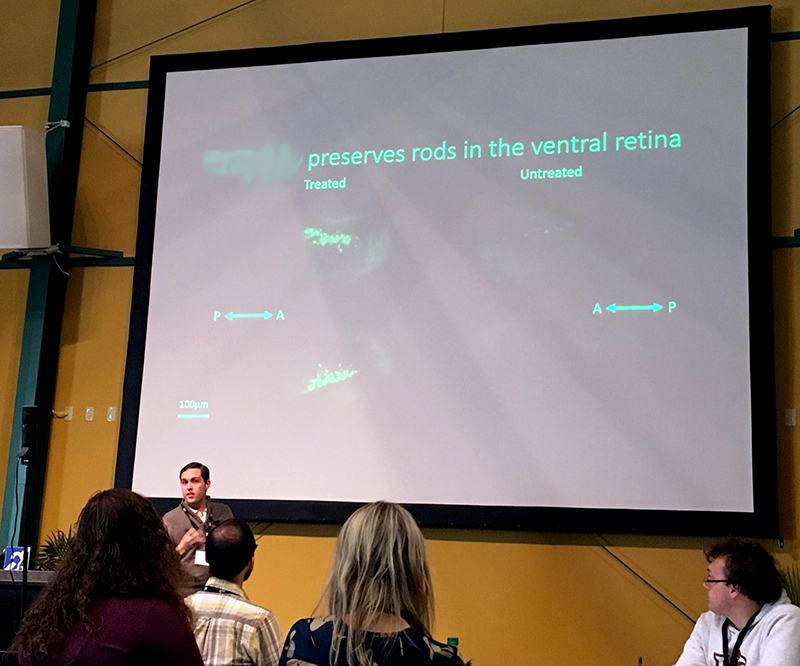 Logan gave a talk on “Drug Screening and Hit Identification for Retinitis Pigmentosa with Zebrafish” and shared our latest discoveries on using zebrafish to find new drugs to treat night blindness. 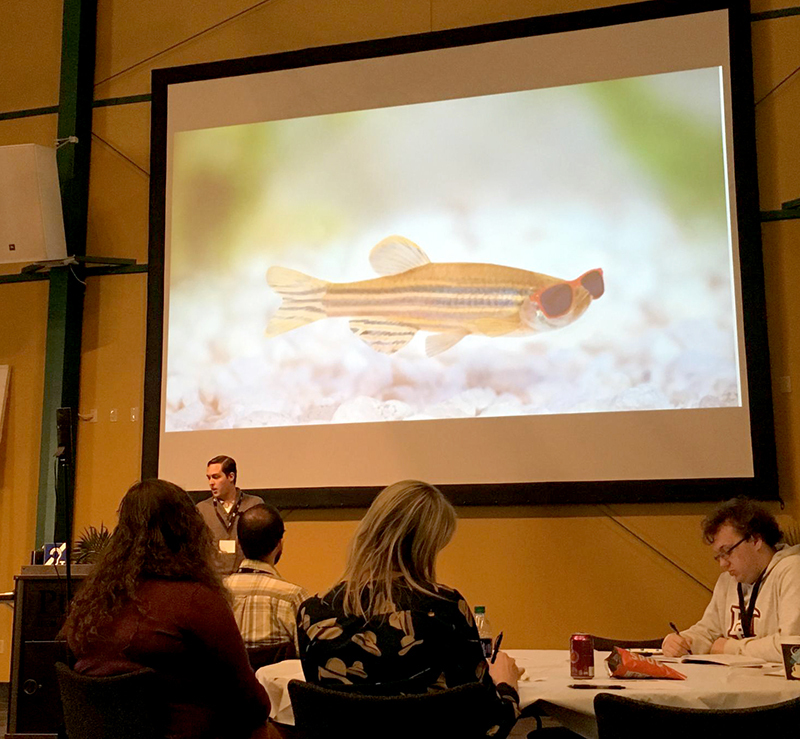 Logan described how we used zebrafish model of night blindness to screen and find new drugs to treat the disease. Logan described the therapeutic effect of a positive compound that he identified in his doctoral research. This entry was posted by Yuk Fai Leung on November 17, 2018 at 1:52 PM under Fai's sharing, lab activities, lab research. You can leave a response, or trackback from your own site. Follow any responses to this entry through the RSS 2.0 feed.